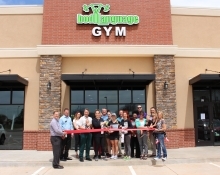 Sandler Training, an international training and development organization; with local operations in Oklahoma City, OK; dedicated to empowering organizations and individuals the ability to achieve both professional and personal growth through our sales, management and leaderships development; recently held a ribbon cutting with the Edmond Area Chamber of Commerce to celebrate their relocation to 5850 W. Wilshire Blvd. 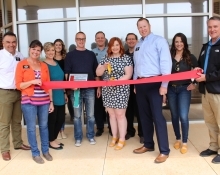 Project 66 Food and Resource Center recently held a ribbon cutting with the Edmond Area Chamber of Commerce to celebrate the opening of their new shopping room. 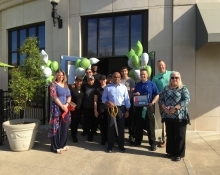 Feed It Forward OKC recently held a ribbon cutting with the Edmond Chamber to celebrate their new membership. 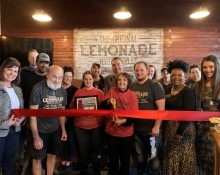 Taziki’s Mediterranean Cafe Celebrates One Year Anniversary with a Week of Specials, FREE Food, Giveaways, and Family Fun Bash for All! 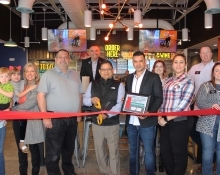 Schlotzky’s Austin Eatery recently held a ribbon cutting with the Edmond Area Chamber of Commerce to celebrate their grand opening at 33rd and Broadway. 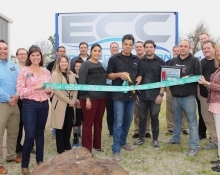 Edmond Collision Center recently held a ribbon cutting with the Edmond Chamber to celebrate their grand opening at 24 West 8th Street. 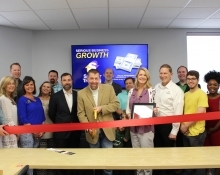 Vault 405 recently held a ribbon cutting with the Edmond Chamber to celebrate their new expansion at 10 North Broadway in downtown Edmond. 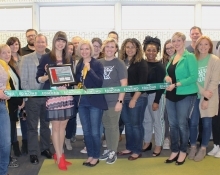 Vault 405 is a unique co-working space powered by Citizens Bank of Edmond. 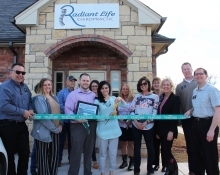 Radiant Life Chiropractic recently held a ribbon cutting with the Edmond Chamber to celebrate their grand opening near 164th and May.